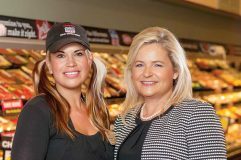 For her three decades in the grocery industry, her leadership abilities, her embracing of new ­challenges, her devotion to education and giving back in her career as well as her determination to keep her family life a priority—all of these reasons pointed to Valerie Jabbar as a worthy recipient of the Woman Executive of the Year honor from The Shelby Report of the West. Jabbar got her first retail job at a store called Smitty’s Big Town in 1987. 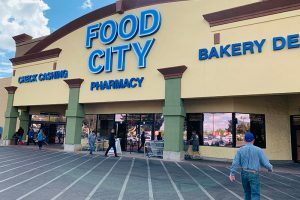 Ahead of its time, the Arizona-based format was a combination grocery store, department store, restaurant and garden center, and Jabbar gained experience in departments other than grocery there. A series of mergers followed, with Fred Meyer, Smith’s and Fry’s, landing Jabbar in the Kroger organization. During her career, she has served in leadership roles including assistant store director, category manager, Drug/GM coordinator, G.O. seasonal manager, assistant director of Drug/GM and director of Drug/GM, as well as district manager in the Fry’s Division. In 2012, Jabbar moved to the Mid-Atlantic Division to serve as VP of merchandising before moving to the Ralphs Division in 2013 as VP of merchandising. Jabbar was promoted to president of Ralphs in July 2016. Jabbar attended the Colorado Institute of Art and has also completed leadership seminars at Babson College and University of Virginia’s Darden School of Business. 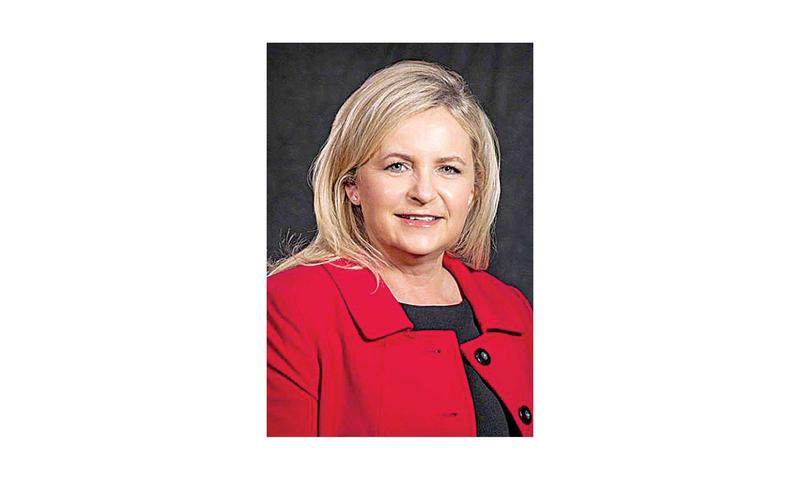 She is a board member of the Western Association of Food Chains (WAFC), president of the City of Hope Food Industry Council and serves as a mentor for the Ralphs Division Women’s EDGE, an associate resource group that develops talent. 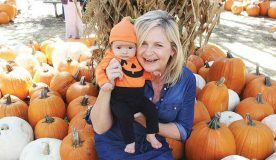 Following are excerpts from VP-West Bob Reeves’ interview with Jabbar as well as written responses from Jabbar herself about her thus-far-three-decades in the grocery ­business. The wisdom she has gained and the enthusiasm she still has for the business are evident. Reeves: Tell me about your upbringing. Jabbar: I was born in St. Louis, Missouri, to Denise and Dan Foster. They were teenage parents that wed at a very early age. We lived with my grand­parents for the first couple years of my life, which created a forever-strong bond with my grandma, 85 this year, who has always been an inspiration to our family. I am the oldest of four siblings. I have one sister, Adrienne (the youngest), and two brothers, Ryan and Keith. They each are married and have blessed our family with seven children. Last summer we started a new tradition—they come to California for a week on summer break to “Camp Valerie.” With everyone living in different states, it allows a chance to stay connected, as does modern technology. I went to a Catholic elementary school as a child and moved to Arizona my freshman year of high school. My mom and stepdad were in the restaurant industry, and their jobs brought us there. After high school, I wanted to pursue being a fashion designer and went to the Colorado Institute of Art. There, I found out my artistic ability was just not quite what I thought it was, so I started to pursue fashion merchandising, which included product promotion, development, production and other disciplines. I moved back to Arizona after school. Q: Is that when you got into the food industry? 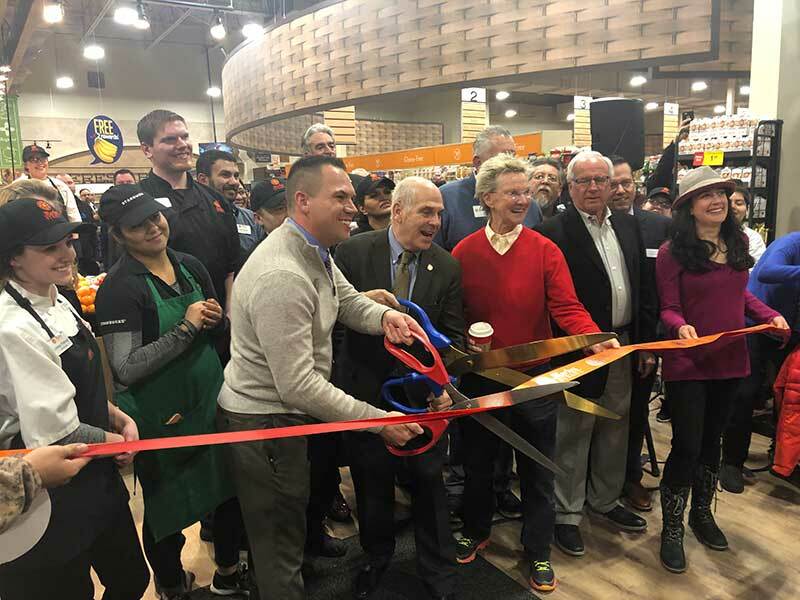 When I got back to Arizona, I started working at Smitty’s Big Town, a local market that was like a supercenter—a huge department store, grocery store, restaurant and garden center all under one roof. Clyde Smith, who started Smitty’s, was a true visionary who saw the future of the customer experience like no other at that time. Everyone loved shopping at Smitty’s, and I thought it would be a fun place to work while pursuing other opportunities in fashion merchandising. Little did I know at the time I would continue to work in this great industry for 31 years. I loved working at Smitty’s and had some great mentors that gave me the chance to have many different experiences that would help me grow. I started in the lingerie department. Not many grocers probably have that story line! I then moved into being department manager for children’s, men’s, women’s and domestic/housewares. I later moved over to the grocery side to be night manager, grocery manager and assistant store manager. I thought grocery was interesting (at Smitty’s); it was a fun side of the business. It was forever changing. There were a few women working on that side of the store during that time, but not many. I then moved into the corporate office to be apparel buyer. Then the mergers started. We first merged with Fred Meyer, then Smith’s and later Fry’s, which made us part of the Kroger family of stores. All of the mergers made Fry’s a very special place in the end because we had a unique blend of talent from all of the companies we had merged with. This talent gave us a competitive edge in the market. After we merged with Kroger, more opportunities presented themselves, as we were now a company of more than 2,000 stores vs. 100, spread across the United States instead of just in Arizona. Soon after the merger, I had the opportunity to be a supervisor in the field and to be a sales manager back in the office. 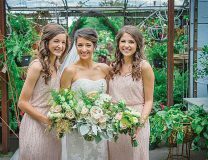 Then, in 2001, just after my second daughter was born, I was offered a position in Cincinnati to buy seasonal for The Kroger Co.—the entire company. This was a big step for me and my family; it was my first big move. I was working with a team I did not know and that did not know me and I was buying for more than 2,000 stores. This was one of the best jobs I had. I made some very good friends, grew in my professional career a lot and had a different appreciation for the team that worked in Cincinnati. They were talented, welcoming and wanted the best for our customers and the divisions. After a couple years in that role, I moved back to Arizona to take on an operations role in the field supporting the stores. I went back into the office as the drug/GM merchandiser for the Fry’s stores for a couple years and a district manager for another couple of years. I was getting my operations experience along with my merchandising experience. I managed a district of 25 stores. That was a great experience. As a district manager I had the opportunity to impact so many associates in a positive way. All of these positions gave me a solid foundation for my next role, which was in Roanoke, Virginia, as VP of merchandising for the Mid-Atlantic division. I was there for a couple of years. From there, I had the opportunity to return to the West and to Ralphs as VP of merchandising. Then, after two years here, I was promoted to president after Donna Giordano retired. I was very thankful to be able to continue to work with this awesome team! Q: So you’ve done some moving around. The Jabbar sisters: Sofia, Danielle and Mirah. My family and I have moved four times in the last 17 years. Moves can be hard, but at the end of the day, your home is where you make it, as long as your children and your partner are there with you. I had that support, and I think it has actually made us all stronger and more change-adaptive. We experienced many new places in each area we lived and met good friends in each place as well. My husband, Sam, has always been an entrepreneur and had his own businesses. When we moved to Cincinnati, he had a jewelry store in Arizona; he bought, sold and manufactured Indian jewelry. As my career started to excel and we started to move around, he maintained that business for some time but eventually sold it. From a career growth perspective, I could have never learned what I did about our parent company or our associates and customers in different regions had I not worked directly with them in Virginia, Ohio, Arizona and California. Roanoke, Virginia, is much different than Arizona. You have weather conditions that impact the business; people eat differently; they have different schedules, different family sizes. We experienced hurricanes in Virginia Beach and snowstorms in Roanoke. In that one division alone, we had Raleigh/Durham, West Virginia, Richmond, Virginia Beach and Roanoke, so it was almost like five different divisions in one. In each of those areas the customer demanded something different and the associate was different, so you had to manage differently. Q: How have you seen the number of women in management change during your career? When I was coming up, in the beginning there were not many that I knew of. But there were always many in the pipeline, and today the landscape is incredibly different than 31 years ago. Throughout Kroger today I am one of many female presidents running a division. Q: Who are some of your mentors? Valerie with her mom, Denise. I have been blessed with so, so many, but to just call out a few, I will start with my mom. She taught me the value of faith, family, hard work and believing you could do anything. She has always been my biggest fan! Kirk Reinke hired me back at Smitty’s (he’s still a district manager in the Fry’s division) when he was a store manager. We still keep in touch. He was a man with high standards, high expectations—a perfectionist. He taught me to always have high standards and run a great store. Mark Tuffin was also my store manager, district manager and my SVP. He has taught me to always challenge status quo and encouraged me to think outside the box, test and learn. Lisa Holsclaw showed me you could be a great mother and be a great executive at the same time; it didn’t have to be one or the other. She was VP of merchandising, and she mentored me at Fry’s throughout my career there. She became a president in one of the divisions. She has since retired. Donna Giordano was the first woman president I had worked for. One of the reasons I wanted to come to Ralphs was to work for a woman president because in my career I had never worked for a woman president. I wanted to see what I could learn from her in that leadership role. I surely learned a lot from her. One of the many important lessons she taught me to always be your genuine self. Tim Massa (group VP of human resources and labor relations) also has been a great mentor and sponsor in the last 10 years. He has given great advice on new experiences and leadership and helping me create long-term relationships. 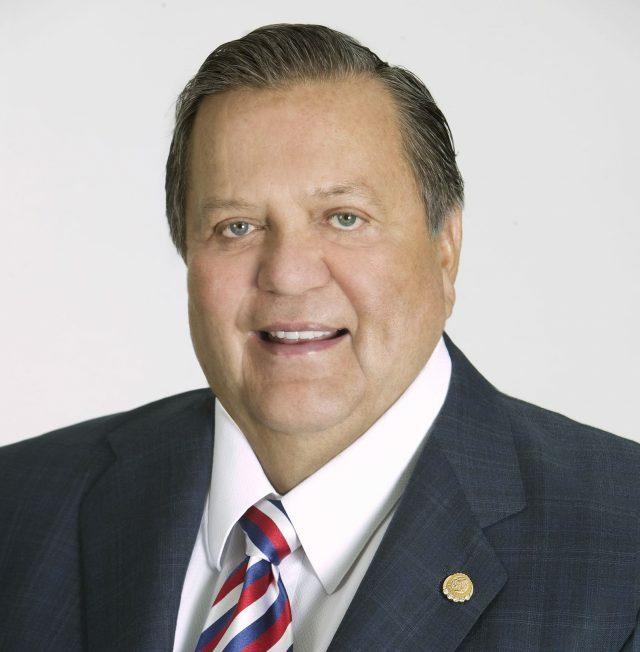 Mike Donnelly (COO for The Kroger Co.) has always been the leader in my career that has pushed me to do more and had confidence in me when I may not have had confidence in myself at that moment in time. Q: What are some of the skills that have served you well in your career? Anyone can be a manager, but to be a leader is a special skill set. Work hard; don’t pass by a new experience or challenge that will help you grow personally or professionally. It’s OK to be scared. Be a great listener. This takes real discipline, but when you really listen you learn a lot. If you don’t listen, you can miss that important nugget that could be critical in your conversation. Choose your team wisely and always be honest with them. Never become complacent; always stretch yourself and your team. Thank people often; appreciation and recognition goes such a long way. Don’t be afraid to hold people accountable; they will appreciate it. And pay it forward. Someone—or, in my case, many people—helped me achieve my professional objectives along the way; now it is my turn to do the same for others. Work hard but also play hard. It’s so important to have that balance, but family first. Choose your spouse wisely! I am very fortunate to have Sam’s support in my job. He has been my rock, a great father, always there for the girls and me for whatever we may need. He is an awesome chef and has taught the older girls to also be great cooks. He loves to play golf, bike and travel. Valerie with her first grandchild, Olivia. We have three amazing girls. Danielle is 29; she works in real estate and lives in Connecticut. She just had our first granddaughter, Olivia, who is seven months old. She is married to Blane. Being a mom helps me look at the business through the eyes of our future generations—our new customers, our new associates. It helps me ask myself the question what’s important to them? Are we offering that? They make me think outside the box on how we will continue to evolve in order to be relevant to them today and tomorrow. I ask the girls endless questions about what they eat, how they shop and what is important to them. Thank goodness for technology; we stay connected through FaceTime. We do FaceTime every Sunday with Olivia and Danielle, and almost every other night with Mirah. We feel like they’re not so far. When they were growing up, I did the best that I could do to be there for the most important things. I had to weigh, is this something the girls really want me to be at and I really need to be at, and is it something they are going to remember 10 years from now if I miss it? Or is it something that really isn’t going to matter next week? But Sam, with his flexible schedule, was such a support. Whatever I couldn’t attend, he was definitely there to support them. Q: Have you always wanted to be a leader? No, not so much a role or a specific title; however, I have always been self-motivated, always strived to learn more. I’m very adaptable to change and competitive—I love to win! My brothers and sisters would definitely tell you I was a leader—even as a child (laughing). Q: What is your stance on the importance of education? Education is extremely important to me—one of the best investments we can make is in our people! In our business, education starts when we hire someone into a store and train them to ensure they understand our purpose and to be confident to do the job they were hired for. As our associates move up, we have another level of training for our department managers to ensure they are successful, as well as our Leadership Essentials training for becoming more confident and getting promoted for our assistant store managers. There also are additional leadership classes for our store managers, some of which are internal and some of which we hire college professors to teach. Six years ago, when I was in Virginia, I rolled out EDGE (Engage, Develop, Grow and Empower), a group for high-potential women where we focused on strengthening their leadership skills in efforts to make them more confident leaders and want to continue to excel in our business. It was the first group like that in the Mid-Atlantic region. When I arrived at Ralphs, we rolled out EDGE here as well. We had so many people that were interested in it because they had seen other women getting leadership training. The group was excited about what they were learning and talking to their peers about it that we had a group of men approach us and ask for the same program for them. So today we have an EDGE group for women and an EDGE group for men! We also support our associates in obtaining a Retail Management certificate through the WAFC, which allows them to take classes that focus on our industry and complete them while still working at their own pace. We have hundreds of associates enrolled in this program. We also offer one executive a year the chance to participate in the USC Food Industry Executive Program for a week and then also we choose one high-potential team member a year to put into the 16-week USC FIM (Food Industry Management) Program. I am committed to helping our associates further their training and education. We also offer a tuition reimbursement benefit to our associates as well. One of the best parts of my job is to see our people grow, to take on new challenges, to gain more confidence—they are our future! Q: Tell me about your philanthropic endeavors. 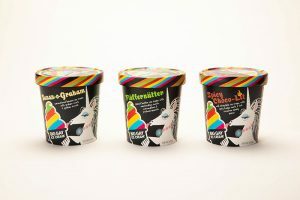 Ralphs contributes to the community. 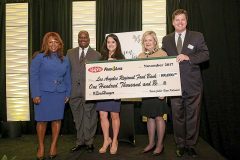 From left: Myeisha Gamino, Victor Smith, Vanessa Rosales and Valerie Jabbar of Ralphs; Michael Flood, CEO of the Los Angeles Regional Food Bank. Feeding the hungry is one we feel very strongly about. It is very disturbing that 1 in 8 Americans goes to bed hungry every night—something that many of us have never experienced. No child or adult should be hungry. In 2017 our company announced our Zero Hunger | Zero Waste initiative. Our goal is to end hunger in our communities and eliminate food waste in our company by 2025. It will take all of us working together and with partners to make a difference. In addition, I am active in the community and sit on multiple boards. I am president of the City of Hope’s Food Industries Circle and a board member of the Western Association of Food Chains. I appreciate the opportunity to mentor others and serve as an advisor for Ralphs’ EDGE group and also serve as Executive in Residence for USC’s Food Industry Executive Program. Q: What is your proudest accomplishment at Ralphs? Valerie visits with a Ralphs associate at a store. My team is my proudest accomplishment. They are so proud of what they do every day; they’re loyal; and they strive to make a positive difference in the lives of one another and our customers. Our purpose at Ralphs is to “Feed the Human Spirit” of thousands of associates and customers that we come in contact with every day. And every day that we wake up and come to work gives us a new opportunity to do this again and again. Our teams Feed the Human Spirit by uplifting each other and our customers, by performing simple acts of kindness that make people feel good. Everyone can sell a can of green beans, but one of our points of difference I hear every day from our customers is our people. Our customers come to our stores because of them; they make them feel welcome and like family, and for that I am so very thankful! Q: What is your advice for young women considering a job in the food industry? It is a great career with endless opportunities. Whatever your passion may be, we have careers in sales, marketing, operations, human resources, engineering, real estate, finance, accounting, pharmacy, nursing (nurse practitioners), technology, digital, consumer insights…the list goes on. It’s always going to come down to working hard and work ethic. And being confident and being knowledgeable and getting that confidence and knowledge from stretching yourself. Trying new experiences and not shying away from those new experiences. Q: How do you relieve stress? Sometimes it’s just going out for a good walk, getting outside and getting some fresh air. My husband and I do a lot of biking and hiking. I like to travel and I love food—that’s always a great stress reliever, right? The girls love to travel to Maui; they are all about a good beach vacation. We also do some of the Carolina beaches. We visit Arizona often because we have so much family there. And now, with a new grandbaby in Connecticut, we’ve been traveling over there. We have also visited Spain and Italy and would love to go back to some of these spectacular countries. Q: What do you see in your future? More moves? Who knows? It’s a great question. I believe in living in the moment, one day at a time, and I think I have one of the best jobs there is! I always say when you quit loving what you do, you should stop doing it; life is too short. I love what I do here in So Cal at Ralphs. I am surrounded by an incredibly talented team that I am honored to work with! And we have a lot more work to do here. So, I would say only time will tell.